This interactive one day workshop is ideal for (experienced and novice) customer service professionals and all staff wanting build on their existing skills and take them to the next level. It is equally suitable to all forms of commercial and industrial business. Whether your customer service experience has been for just a few months or a few years you will benefit from out proven techniques. No advance preparation is necessary. The course is fully interactive and is specifically designed to improve your reflex customer service skills when dealing with customers by Telephone, Email or Face to Face interactions. We will teach you a variety of skills ensuring you have clearer awareness of your customer service strengths and show you techniques that are consistent with your personality. A work book will be provided however it is your reflex interactive skills that we are going to address in this engaging and fun workshop. Topics such as dealing with difficult and overbearing customers (both internal and external) are covered in detail. During this fascinating one day workshop you will learn that its not what you say to your customers but how we say it as well. Learn to manage your customers, reduce call times and work more efficiently using our clever and easy to learn techniques. Complaints and why we need them.  Customer Service Training Australia was established in 1999, with offices in Sydney, Melbourne & Brisbane. We conduct Customer Service Workshops & conference presentations throughout Australia, New Zealand & Asia. Our services extend beyond conventional training and we act on a retainer basis for companies seeking ongoing support and leading edge customer service concepts.